The Jubilee Party has announced that it will not field parliamentary candidates in Ugenya and Embakasi South Constituencies by-elections. 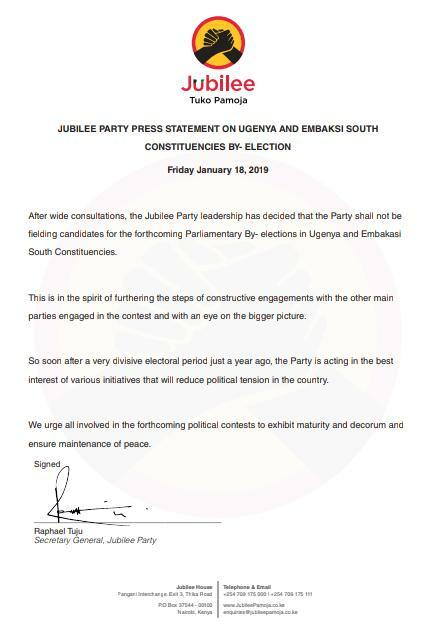 In a statement signed by Jubilee Party Secretary General Raphael Tuju, the party said that they had reached the decision after considering the ‘main parties’ and looking at the ‘bigger picture. 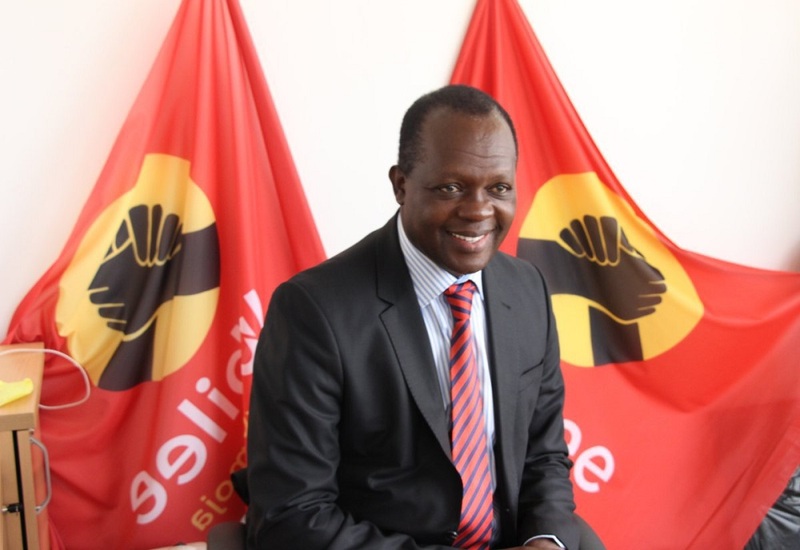 parties engaged in the contest and with an eye on the bigger picture,” stated Tuju. The Independent Electoral and Boundaries Commission (IEBC) chairman Wafula Chebukati announced that the by-election of the two constituencies will be held on April 5. The seats fell vacant after the Supreme Court nullified the election of Mr Christopher Karan (Ugenya) and Julius Mawathe (Embakasi South) citing malpractices. IEBC has also set February 4 and 5 for party nominations. In Ugenya, Orange Democratic Movement Party (ODM) has indicated that it will give direct nomination to Mr Karan who will battle it out with former MP David Ochieng of Movement for Democracy and Growth Party (MDGP). In Embakasi South, two Nasa affiliated candidates, Mr Irshad Sumra (ODM) and Mr Mawathe (Wiper) will be the main candidates after their parties hinted at giving them a direct nomination. Other candidates are expected to join the battle in the two constituencies.